Rob Levine’s ‘Flag Me Down for a FREE RIDE!’ Program Launches! Ever wish there was a ‘free ride’ option when you are all the way down Lower Thames St. and you need to get back up past the Brick Alley Pub to your car – it’s hot and there are tons of people on the sidewalks? Or, how about downtown Providence when you’ve parked way down Thayer St. and it’s raining? Rob Levine & Associates just launched a fun program that will solve those problems for you! The Rob Levine & Associates Free Ride Program has officially begun. 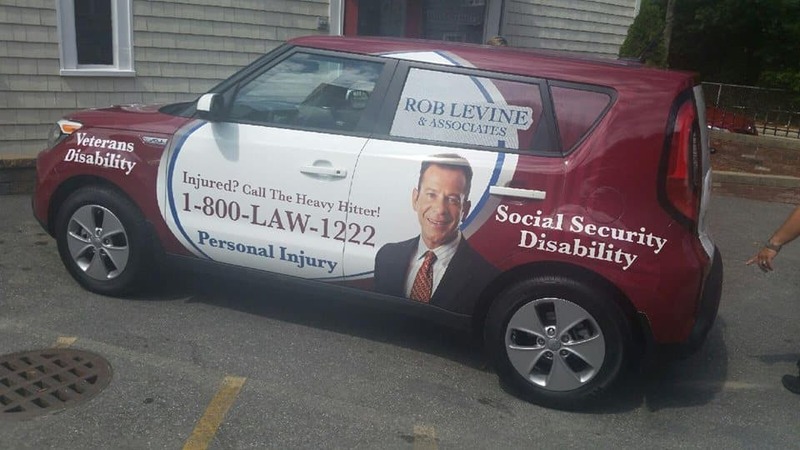 If you see a Kia Soul driving down the road with the Rob Levine & Associates ‘wrap’ and a roof sign that says ‘Flag Me Down for a Free Ride’…do just that. Wave your hand in the air and one of the RLA drivers will pull over and give you a free ride! Stay on the lookout in Newport and Providence this Summer and you just might be lucky enough to cool down and enjoy a ‘Free Ride’.